Among the Largest Daffodils Available! Welcome spring with these dazzling, large, fragrant daffodils. 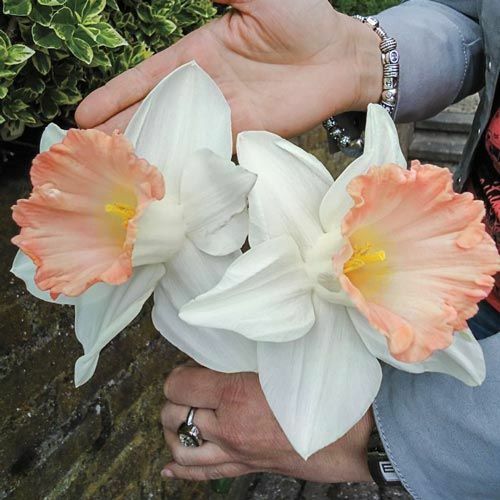 The coral-pink trumpets and pure white petals are impressive no matter where you plant them in the garden. Use for naturalizing and in borders, and also enjoy indoors as a cut flower. These beauties return bigger and better each year. PruningLet foliage mature and die down naturally. 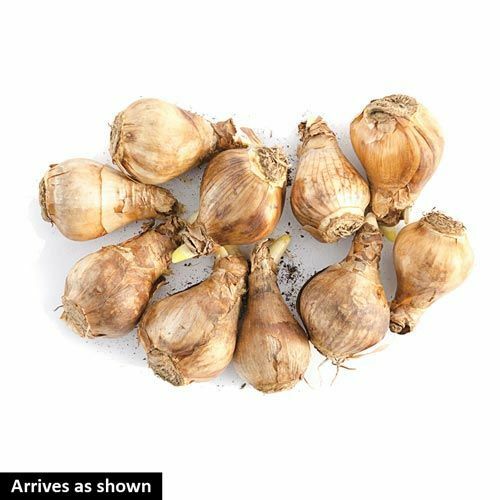 The leaves are providing nourishment for bulbs to produce future growth and blooms. 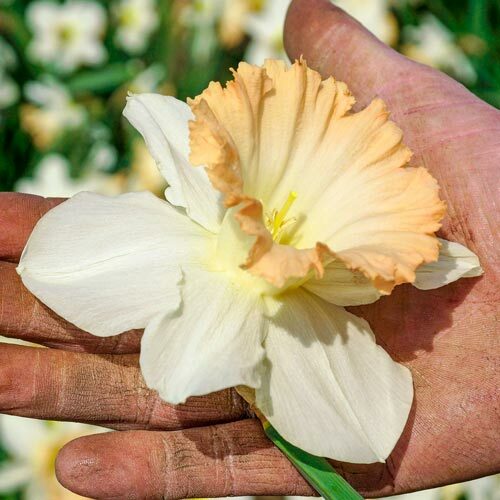 Additional InformationOne of the largest daffodils available.